It’s no surprise that college freshmen experience high levels of stress. After all, first-year underclassmen have to adjust to living away from home, new friends, navigating a new campus, and managing a course load that makes high school feel like pre-k. But stress levels are now at an all-time high, according to the survey, The American Freshman: National Norms Fall 2010. 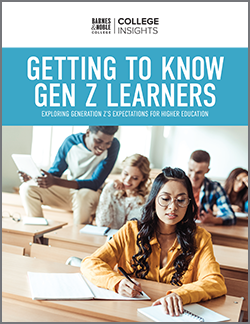 The survey, which involved more than 200,000 incoming full-time students at 279 four-year colleges, found only 52 percent of students reported their emotional health to be “above average,” a marked decline from the 64 percent reported in the first year of the survey in 1985. Female students were even less likely to report excellent emotional health, with 46 percent of women placing themselves as “above average” compared to 59 percent of men. Being on campus, our bookstore managers have a unique and up close perspective on the types of pressures new students face. In response, many of our stores offer additional services and conveniences to support students and help ease some of the most stressful times on campus. The NMSU bookstore also keeps a stock of scantrons (standardized forms used for test taking) right at the front registers so students can just grab and go. “There are always a few students who run in to grab some scantrons five minutes before they have to take their tests,” said Koliba. “We want to make it as easy as possible for our students during midterms and finals.” The bookstore also provides a key resource for students needing a caffeine lift during cram sessions by making sure there is a constant supply of fresh-brewed coffee in the café. Are students stressed on your campus? Tell us about the programs your school has to help freshman and upper classman deal with high levels of stress. 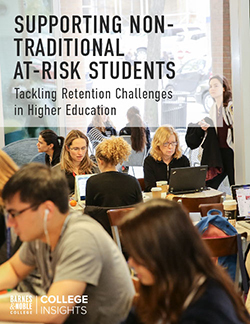 Read more about the annual survey from the Higher Education Research Institute.